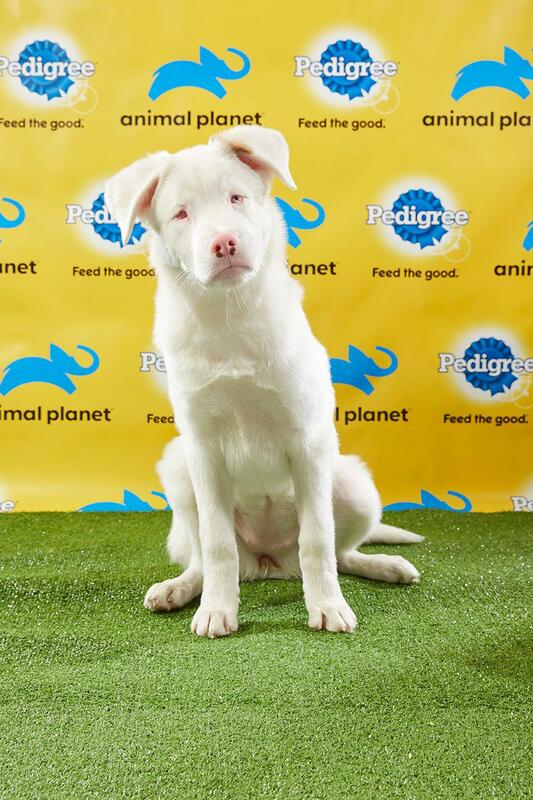 UPDATED: Sun., Feb. 3, 2019, 9:33 p.m.
Bumble, a former shelter dog now living in Spokane Valley, made Puppy Bowl XV history Sunday by becoming the first special-needs dog to receive MVP honors. The 6-month-old female is blind and deaf and has a harrowing story. Bumble was just hours away from being euthanized at a kill shelter in Oklahoma City because of her disability. A shelter volunteer rescued the animal, said Cristene Justus, director of the Double J Dog Ranch in Hauser Lake, Idaho. Bumble was soon on her way to the ranch, a home for special-needs dogs, thanks to a network of volunteers trying to find a good home for the dog. The ranch tries to find homes for the dogs it receives. It has partnered with Animal Planet to send several dogs to the Puppy Bowl, but this is the first MVP. Filming for the Puppy Bowl takes place in October. After the Puppy Bowl was filmed, Bumble was adopted in November by a Spokane Valley family. Bumble’s owner, Cindy Schmitt, said the family was proud and excited when they watched Bumble in the Puppy Bowl on Sunday, and were very happy when they saw she was named MVP. She said the family first saw their future dog, a mix between a Labrador, chow, Dalmatian, and Australian German shepherd, at an adoption event at Super 1 Foods in Rathdrum, Idaho. She said her 12-year-old husky Atka had died only a few months before and she wasn’t sure she was ready for a new dog, but her family fell in love with Bumble immediately. “She’s just the sweetest little thing in the world,” she said. She said she hopes that a focus on dogs like Bumble will encourage people to consider shelter dogs when adopting. Justus said she hopes Bumble being named MVP will show people that special-needs dogs can have a high quality of life; they just have to communicate a little differently. She said the ranch, which currently has 10 dogs, still has a blind Chihuahua and a deaf 7-year-old Australian mix available for adoption. “They’re perfect in every way that matters,” she said. Published: Feb. 3, 2019, 5:46 p.m. Updated: Feb. 3, 2019, 9:33 p.m.